With transgenderism issues increasing in our culture, topics relating to gender and gender roles are hotly debated. While it may be interesting to tune in to popular conversations on the subject, even in church, I seek to sift out the lies, deception and man-made (even church-made) tradition, to arrive at the Truth, no matter what that Truth may reveal. As you may or may not know, before I became a dedicated follower of Jesus, I identified as a liberal feminist. I believed in the right of women to be strong, independent, equal, and even the right to make hard "choices." My identity changed as I discovered who I really was as a special child of God. This led me to reject feminism (at least all those feminist ideas from the various waves of feminism which ran contrary to God's Word). As a child of God I questioned who I was as a Woman of God. What is my role as a wife and mother? What is my role as a professional? What is my role in ministry? When I began public speaking I was troubled over verses like 1 Timothy 2:11-12 ("A woman should learn in quietness and full submission. I do not permit a woman to teach or to assume authority over a man; she must be quiet.") and 1 Cor. 11:3-16 (i.e. women's head covering). When I was invited to speak to mixed audiences (men and women) or an all male group, I usually began my speaking almost apologetically (now I don't mean apologetics here, I mean apologizing) and assuring the audience that I wasn't there to teach men or exercise any authority over them--I was merely sharing with them. It seems superfluous in retrospect. None of those audiences had articulated any issue with my being a woman and teaching with men in the audience. I made an issue of it myself because of my own difficulty understanding certain verses like the ones I just mentioned, and because I was keenly aware of many church views against women preaching and teaching in church. While my own husband did not have an issue with my teaching groups which included men, I started a journey mining for the gold nuggets in Scriptures to clarify for myself exactly where was the dividing line for women in ministry. Could women teach, but just not preach? If so, why? Mining for gold is hard work. There are many fascinating and thought-provoking books on the two primary prevalent views on gender roles in general and on women in ministry in particular. 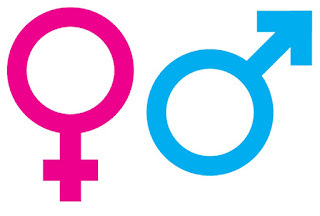 The two views are categorized as complementarianism and egalitarianism. Without going into a detailed examination of both views here, I want to move on to my conclusion---neither view seemed to adequately explain the Holy Scriptures when read together as a whole. My interest in Christian Apologetics has prompted my continued interest in this subject. If I am called to explain what I believe and why, I need to know what I believe God's Word says about gender and gender roles in general, and the role of women in the church in particular. I was absolutely delighted this summer to stumble across a series of thoughtful articles on the subject of gender roles and women teaching in church on Christian Apologist Melissa Cain Travis' blog, Apologetics, Worldview, and a Pebble in the Shoe. I asked for her permission to reprint them on my blog and she agreed. I have never re-posted a blog series before, but I am doing this as much for my audience as for myself. Perhaps one day I will use this as a launching pad to dig even deeper and write a book on this subject. I posted each article on my blog. However, here is the list of her articles with direct link to her blog posts. May it provoke a thoughtful discussion.